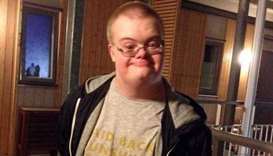 Swedish prosecutors announced charges Friday against three police officers for the fatal shooting last year of an autistic man with Down Syndrome who was stopped while holding a toy gun. 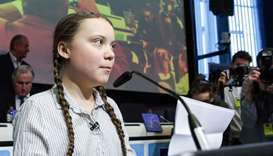 Greta Thunberg, the Swedish schoolgirl climate campaigner who has inspired worldwide protests, should be awarded this year's Nobel Peace Prize, Norwegian lawmakers said Thursday. 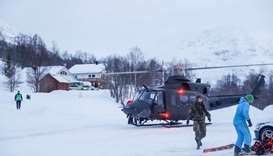 Stina Nilsson survived a desperate assault from Norway's Therese Johaug to give Sweden a first ever world title in the women's 4x5-kilometres cross country relay on Thursday. 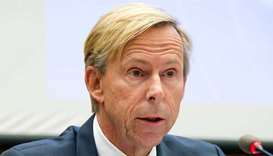 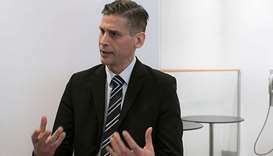 The Swedish security police Sapo said on Wednesday they have arrested a person on suspicion of spying for Russia. 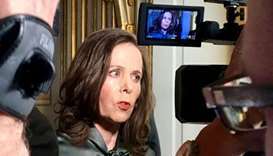 Sara Danius resigned Tuesday from the Swedish Academy that selects the Nobel Prize in Literature, almost a year after she was forced out as permanent secretary by a #MeToo scandal. 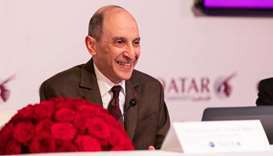 To celebrate the launch of Qatar Airways’ new direct service to Gothenburg, Sweden, Qatar Airways Group Chief Executive, Akbar al-Baker, hosted a press conference at the Clarion Post Hotel in Gothenburg on Tuesday. 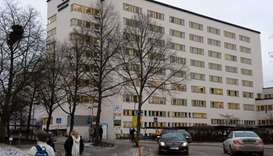 A patient in Sweden has been admitted to hospital with a suspected case of Ebola, a highly infectious and potentially fatal disease, health care officials said Friday. 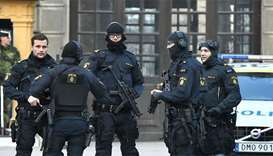 Three Central Asian men have been charged in Sweden with plotting to commit terrorist crimes as well as - along with three others - financing the Islamic State militant group, prosecutors said on Thursday. 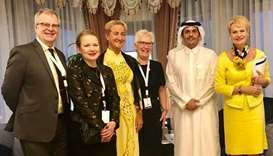 A Houthi rebel delegation returned Friday to Yemen's insurgent-controlled capital of Sanaa after wrapping up an initial round of breakthrough UN-brokered peace talks in Sweden.